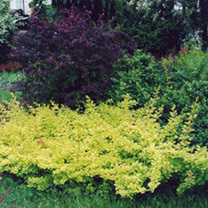 Berberis thunbergii 'Golden Carpet' forms a low-growing dense mound with small rounded golden-yellow leaves that turn orange in autumn. Tiny, pale pink flowers in spring are followed by small red berries that last into early winter and provide a good food source for birds. 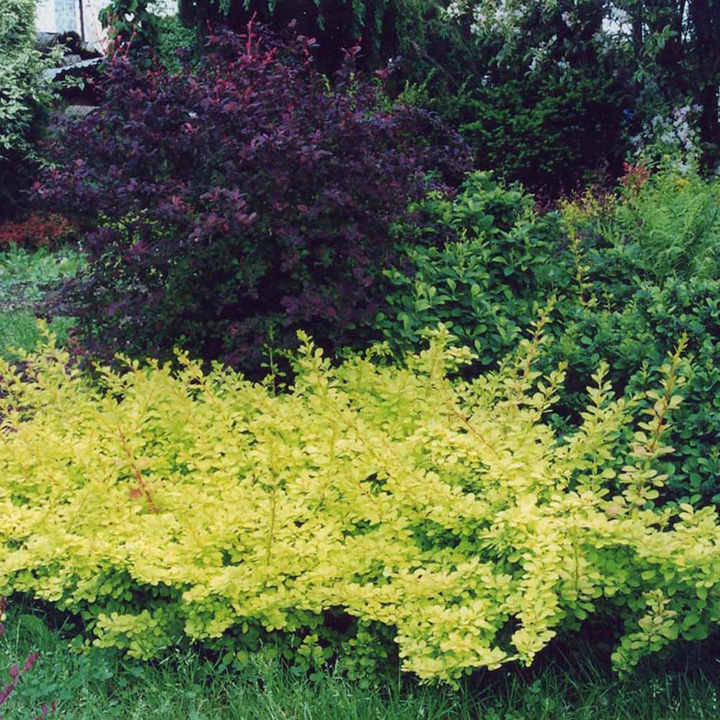 A good low hedging plant. Flowers April-May. Height 50-60cm. Supplied in a 3-4 litre pot.